Enterprise mobility is increasingly playing a critical role for companies large and small worldwide. By enterprise mobility we mean a shift in work habits, by more and more employees working out of the office premises, bring-your-own-device (BYOD) schemes and using cloud services & mobile devices to perform business tasks. In such a scenario, organizations are focused on building the right enterprise mobility strategy, which provides extensive support and flexibility for customers, employees, business partners and all stakeholders. 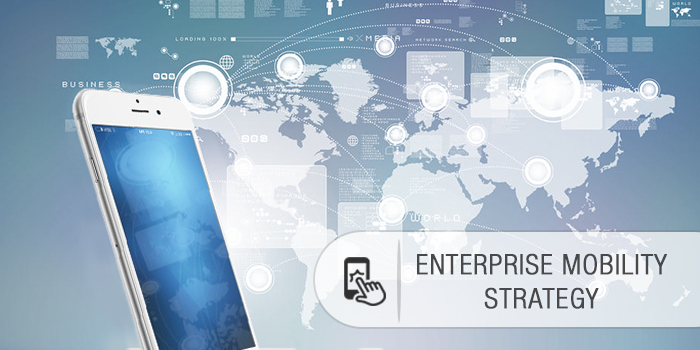 A robust enterprise mobility strategy is the need of the hour for organizations today. The challenge is in protecting sensitive business information without impacting productivity. Allowing seamless access to data from anywhere and anywhere without compromising on compliance norms or security aspects is not easy. But then, it’s not rocket science either and taking care of the essentials will help organizations become proficient in enterprise mobility. Drawing from our rich experience in this domain, we have compiled the below salient features which will help organizations realize the full benefits of enterprise mobility. MDM enables administration, configuration and monitoring of mobile devices used to access business resources – be it smartphones, tablets or laptops. It allows you control to filter access for devices – it can detect jail-broken devices and restrict such devices from accessing the internal network. You can remotely manage employees’ devices discreetly without compromising user privacy. While MDM accounts for the device security and performance, MAM takes care of enterprise software applications on end user devices. With personal as well as business data residing on the same device, MAM enables you to devise application specific access and usage permissions. In short, MAM helps in the severance of enterprise apps and data from the personal ones. Containerization is the new buzz word in the world of enterprise mobility. It effectively creates a separate virtual device within another device – one for personal data, apps and settings while the other for enterprise business purposes. Imagine a container within a device – a container that stores secure data and requires authenticated permission to access it. This container exists separately from the personal content on the device and does not allow interacting between the two layers, thus preventing data leaks. Striking a fine balance between virtualized access and containerized approach is the right way to deliver desired user experience and ensuring enterprise security as well.